Hitman Jef Costello is a perfectionist who always carefully plans his murders and who never gets caught. One night however, after killing a night-club owner, he’s seen by witnesses. His efforts to provide himself with an alibi fail and more and more he gets driven into a corner. In my late teens, I was a keen member of the National Film Theatre in London, and also sought out different, usually foreign films, in the small cinemas that showed them. Around 1970, some ten years after its release, I managed to see ‘Rocco and His Brothers’, the highly praised film directed by Visconti, and starring Alain Delon. I was captivated by this French actor, and thought he delivered a marvellous performance. 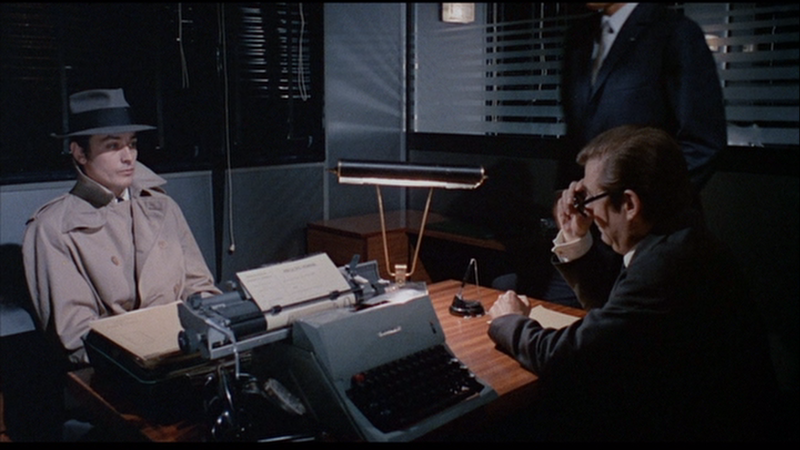 Around the same time, I also saw the 1962 film, ‘Le Doulos’, which was directed by Jean Pierre Melville. 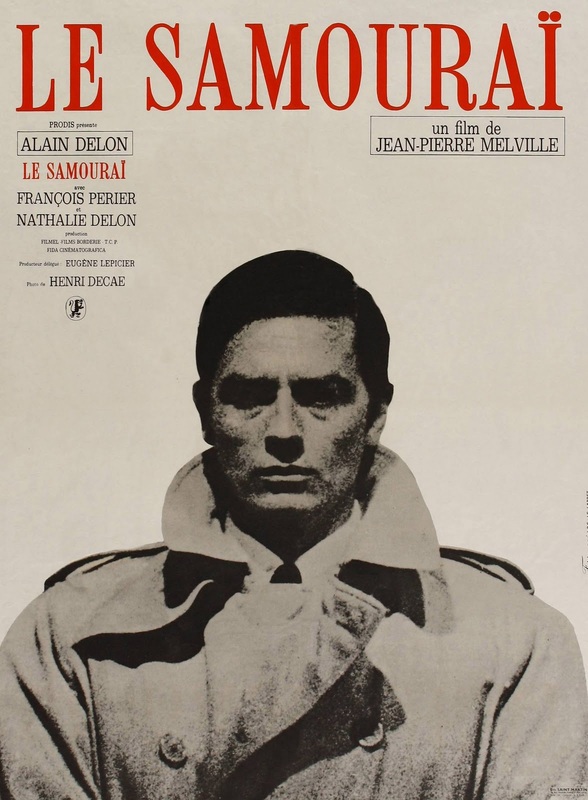 A couple of years later, I noticed that a film was showing, that combined the two; the acting talents of Alain Delon, and the directorial flair of Melville. 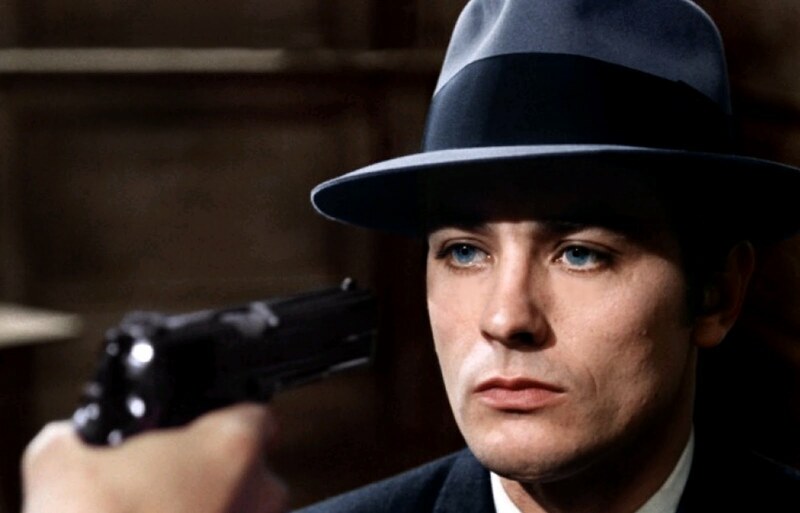 It was called ‘Le Samourai’, and had been released in 1967. I got to see it, and I was immediately entranced. This was minimalist filming at its best, with muted colours suggesting the black and white film noir beloved of the director, and an ice-cold performance from Delon, in the lead role of Jef, that exuded cool, and screamed class. That viewing has stayed with me for over forty years since, and I can recall scenes at will, such was the impact it had on me. Delon plays the title character, a hitman for hire, in the seedy underworld of 1960’s Paris. He knows the city well, moves around the place with ease and confidence, and is equally at home behind the wheel of a Citroen DS, or traversing the underground, the Paris Metro. This is not the flamboyant lifestyle of the modern gangster, with attendant girls, flash limousines, and gaudy jewellery. Jef, is in the background, living life more or less as a loner, never drawing attention to himself. His circle of acquaintances is small, and those he trusts, even smaller. He has a huge bunch of keys, that will give him access to any DS, and a woman friend at a club, who always provides him with an alibi, whenever one is needed. His apartment is tiny, sparsely furnished, and his only companion is a small caged bird. The action revolves around a contract gone bad. After the job, Jef meets a contact to get paid, but is double-crossed, and shot and wounded. Meanwhile, the police are watching him, even going so far as to put a bug in his apartment. Jef becomes aware of this when he sees feathers on the floor of the birdcage. Like the small birds taken down mines to warn of gas, Jef’s bird has warned him of intruders. I do not like reviews with complete plot spoilers, so I will not continue to the denouement. Anyone watching this far, will have already concluded that this is going to end badly, for all concerned. Double-crossing gangsters, unreliable bosses, and femmes fatales are all there, and to be expected. The soundtrack is also a joy to the ears, reflecting the mood of the time, and the feel of the film perfectly. It is the style of the film that makes it stand out for me. Delon is so suave, with his suit, belted raincoat, and wide-brimmed hat, he makes an unsympathetic character someone to root for. There are chase scenes with the police, and some build up of tension towards the end, but it is primarily a film about small things; details, locations, and the feel of a city. The mood is fatalistic from the start, and like the samurai of the title, Jef is ultimately alone, a paid assassin without family, roots, or purpose. It is a great site for film fans, so go and have a look at it! Thanks Niall. Unfortunately, that kind of film usually ends badly, plot spoilers or not. Delon is wonderful in the lead though, so well worth watching. Way to go Pete my boy. I enjoyed your review, if only such classics were readily available on Netflix Australia. Thank you for a concise and interesting write-up of a classic.